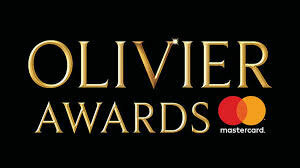 Huge congratulations to Gabriella Slade, who has been nominated for an Olivier Award for Best Costume Design! Design for Performance graduate Gabriella is the costume designer for Six, a new pop musical which has the ingenious idea of imagining all six wives of Henry VIII as a girl band. In a recent Stage article about her designs, Gabriella described how she mixed Tudor style with contemporary pop culture. So which pop stars inspired her? Catherine of Aragon is Beyoncé, Jane Seymour is Adele, Catherine Parr is Alicia Keys, Catherine Howard is Ariana Grande, Anne Boleyn is Lily Allen and Anne of Cleves is Nicki Minaj meets Rihanna.